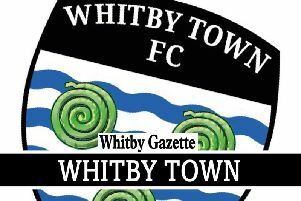 Whitby Town suffered a 1-0 defeat against Nantwich Town at the Turnbull Ground. The Blues were happy to be level at the break, keeper Adam McHugh saving James Lawrie's penalty to ensure the home side enjoyed parity at the interval. Unfortunately for Chris Hardy's side, McHugh couldn't prevent Nantwich netting what proved to be the winner just six minutes into the second half, Joe Malkin finding space in the box and heading in. The Blues will look to bounce back from their defeat when they travel to Hednesford Town next Saturday.